Avionco is looking for A320, A330 captains on behalf of Sichuan Airlines. This airline is looking for immediate hire to be based in Chengdu and is now offering a sign-on bonus both for a CAAC license holder ($50,000) and a non-holder candidate ($30,000). If you can start within 10 days of passing all checks, they will reward you with another $10,000! Sichuan Airlines is an airline headquartered in Chengdu Shuangliu International Airport in Chengdu in China, operating mainly domestic flights but also international destinations. CRJ 200/700/900 Captains – Newly relaxed minimums! We have been recruiting for this airline since the inception of its first CRJ Airplane. Now, with many CRJ Aircraft and more on order, this is a unique chance to grow with one of the fastest developing Chinese Regional Carriers. Join the airline with an excellent 3-year renewable contract offering the best commuting options including a month on/month off roster schedules, and fantastic pay. 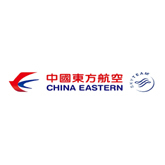 Avionco is pleased to announce a new partnership with China Eastern Airlines for the provision of B737 NG Captains to be based in Shanghai, Wuhan, and Guangzhou China. 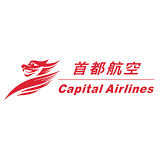 This airline has its headquarters located in Shanghai and is one of the three major airlines in mainland China. The Contract Terms are very appealing and include an excellent monthly basic salary (earn up to $ 216,000 per year), monthly accommodation allowance, overtime, annual bonuses, rotations, sick days, insurance and with all Chinese taxes paid! 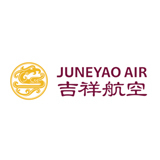 Avionco is pleased to partner with Juneyao Air in recruiting A320 Captains to be based in China. 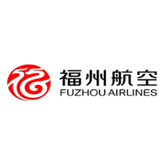 This airline is a major carrier in Shanghai, China, operating both domestic and international services from two airports (Shanghai Hongqiao Intl' Airport and Shanghai Pudong Intl' Airport). Make up to 289,000 per year plus bonuses, insurance, overtime and housing allowance. Get in touch now for more information about this 3- year contract and choose the best roster to suit your lifestyle! 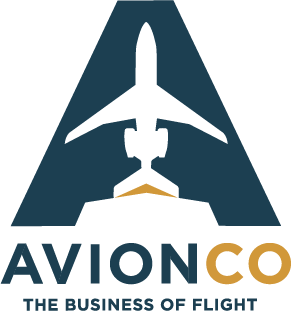 Avionco is accepting resumes for A320 and A330 Captains on behalf of Beijing Capital Airlines. This company was founded initially as Deer Jet Airlines and in 2010 began its scheduled operations using Airbus aircraft as Capital Airlines. They operate mainly in China including Hong Kong, Macao and Taiwan. Since 2015, long-haul flights between China and other cities have been operated by Beijing Capital Airlines with Airbus A330 aircraft. These cities include Helsinki, Mexico City, Zagreb, and in 2018 they are adding flights to Los Angeles. Fly for this family-friendly Airline with education allowances for the International school of your choice. This job Includes terrific pay and excellent benefits and plenty of rotation options. Tianjin Airlines formerly Grand China Express Air is headquartered in Tianjin Binhai China at the International Airport. They operate domestic scheduled passenger and cargo flights. In 2016 the airline launched international long-haul services to serve destinations in Europe, North America, and southeast Asia. They now service Auckland, New Zealand, London-Gatwick in the UK and Moscow-Sheremetyevo in Russia. In 2017 it stated its long-haul service to Melbourne. This is an excellent opportunity to make some of the best salaries in China, and to choose from amongst the best rotation offers available. Avionco is presently accepting Resumes from interested B737NG and B787 Captains on behalf of Air Chang’an. This three-year renewable contract and a great chance to upgrade from the B737 to the B787. Air Chang’an is part of Hainan Airlines Group, it offers the same package as Hainan Airlines and allows a month on/month off rotation option. This is a well-paid position with comfortable monthly flight hours (approx. 70) during their high season. Air Chang’an will have new B787 aircraft delivered hopefully within a year and have international routes added to their current network. The base will be Xi’an which is a historical city as well as a major transportation hub. Avionco is accepting CRJ 900 TRI Captain resumes to support our Client City Jet based in various locations in Europe. Excellent Salary with, accommodation, travel allowances and rotation options. Avionco has the fantastic opportunity to take EMB 170/175 and 190/195 Captains as well as A320 Captain resumes for our client GX Airlines in Nanning China. This is also an excellent opportunity for EMB Captains to upgrade to an A320 Captain in two years! Excellent Salaries with annual bonuses, housing, overtime pay, travel allowances and rotation options. Avionco is accepting B737NG, A320, and A330 resumes for our client Lucky Airlines. This is a well-known airline in China and has chances for advancement. It’s rotation options include the popular one month on/one month off preference. Excellent Salaries with annual bonuses, housing, overtime pay, and travel allowances. Avionco is presently accepting Resumes from interested B737NG Captains on behalf of OK Airways. They have term contracts that can go to 9 years with fantastic pay. Rotation options include two months on / two months off. Excellent Salaries with annual bonuses, housing, overtime pay, and travel allowances. Avionco is presently accepting applications for our client Xiamen Air. This is a Chinese passenger airline who currently has a fleet of over 140 Boeing’s and has one of the best reputations and packages for Ex-Pat pilots anywhere in China. They are offering excellent commuting and non-commuting options, with excellent salaries, annual bonuses, housing, overtime pay and travel allowances.